I found this Avocado Tree growing on a vacant block of land in Glasshouse Mountains, Qld. After doing some searching on Google. I think this may be a Mexicola Avocado tree. 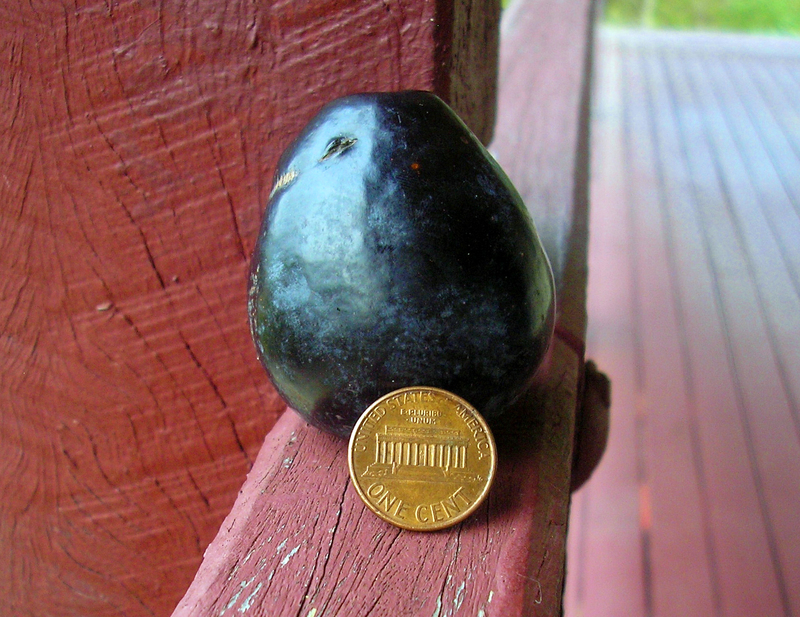 The fruits are plum sized with a bloom on the skin, like a plum; and the skin is very thin and edible. The flavour is strong of Anise; A very delicious fruit. They are ripe now (January 19th). Does anyone please have any information on Mexicola Avocados in Australia. Hi Anne - very interesting Avo - sounds like your on right track and probably a B variety - can u cut in half and are they ripe to eat yet? They are quite tiny with that one cent next to it? In Mexico you can by seedling fruit that look like this, some I saw have almost white flesh. In any case this is the first time Ive seen these small fruit with edible skin growing in Australia so it's as very rare tree. Chances are its extremely cold hardy (at least minus 8c) maybe more than that. The stone is fairly big in relation to the flesh. The flesh is light to mid green in colour. I really hope the tree does not get cut down if the block is sold. maybe the rootstock overtook the rest of the tree. 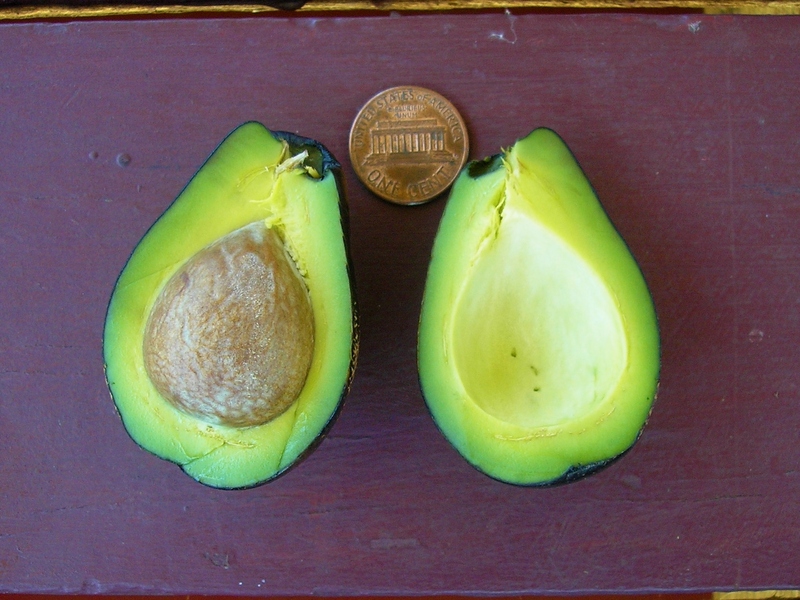 The flesh on these ones is greener than most other Avocados. I think this Avocado is Mexican in origin because the leaves have a strong anise scent. Interesting that the flesh also tastes of Anise. Hi again Anne - sorry what I meant was if you could post a photo of The Avo cut in half with seed in situ and another with seed removed - would be of interest - be also interesting to propagate that plant further and grow a few from seed you have also? ps- how big is the tree? as my searches say that Mexicola can get as tall as 80ft - can u maybe get a photo of tree from a distance with someone standing next to it for reference? Found this Video talking about Mexicola And Thr Mexicola Grande - Jason do you know if grafted Mexicola is available in Australia?? We have eaten all the fruit but one which is not yet ripe. I will post a photo when we cut it open. I think this is still a young tree, maybe only eight or nine feet in height. I will take a photo of it from a distance. Anne, i don't know if it is a variety worth propagating. Maybee some knows? If so, I would be interested in getting some scion wood off the tree to make new trees, and distribute to those interested.... I don't know if I can graft in summer/autumn but I'll give it a go. I think if you were able to create some new trees that would be great because this seems like it could be a rare variety. I am trying to get some of the stones to sprout. One issue with this variety is fruit fly because of the very thin skin. But the taste is exquisite. 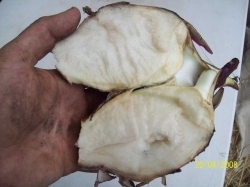 Here is a picture of the cut fruit. Thank you very much for the interesting information on the Mexicola, it is much appreciated. Thank you for the tip about the Avocado seeds. I currently am using the water and glass bottle method! This is potentially a great Avocado for cooler areas. It has such a unique taste too, rather a gourmet Avo! Hello Anne, I would be interested in that Mexicola type avocado you mentioned. I have about 10 different varieties. Maybe we could trade? The Mexicola is currently in flower; and looking very healthy, it fruits around January time. If you want some scions from the tree, when the time is good to graft. Please let me know, and I can arrange to send you some. That is most decent of you. Please send an sms or give me a call on 0467 079 008. I am available at any time. Would anyone be willing to send me a grafted plant of this variety? 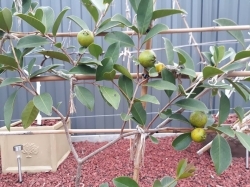 I would love to buy a graft of this tree if anyone close to Brisbane can help. My number is 0433349267, I would be very grateful. Very interested in buying a mexacola but am in wa :( does anyone know of where to start looking locally? I visited the Mexicola tree today, I have been away overseas travelling for a couple of months and so I have not been to see it for a while. The block has been sold and construction has started on a house. The Mexicola tree is still there! Is there anyway to get hold of seeds of this? I was able to access the tree for scions and seeds when the plot was vacant. However, it now has a house built on it, so I am no longer able to get seeds and cuttings. Fortunately, the new owners are keeping the Mexicola tree; I visited them to let them know of its rarity. Does anyone have any Mexicola seeds or plants they wish to sell. I saw one on ebay but they wanted $500 for it, just to expensive for my budget. Many thanks. 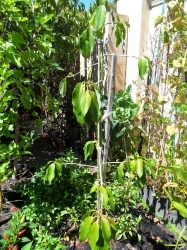 There is a large grafted mexicola avocado for sale at eBay by a seller from Gympie, Qld. Might cost you an arm and a leg though, $499.95. this looks great. do you have experience with them ? do you know if they take the scion cuttings off fruiting trees ? 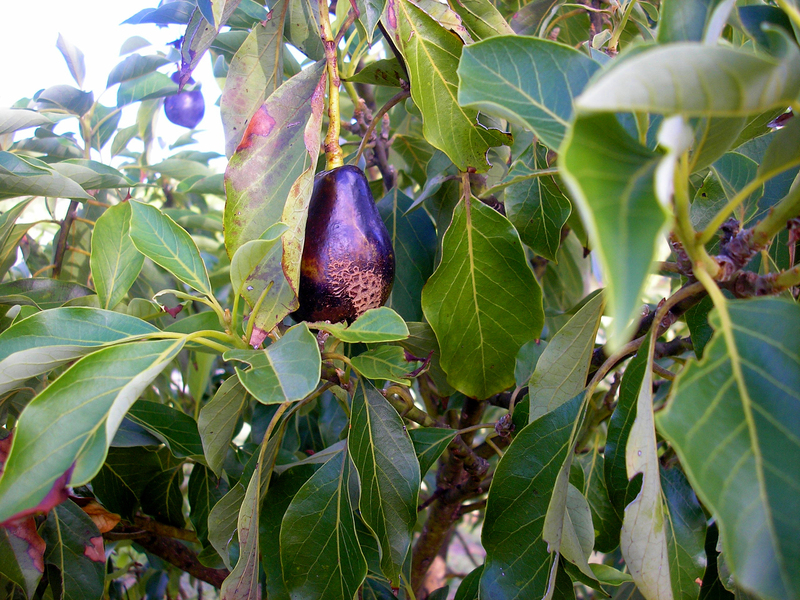 Normally, scion of grafted fruit trees were harvested from a superior fruiting and mature specimen. Oftentimes, they will bear fruit in their 3rd year. I had a grafted hass avo before and it flowered as expected in its 3rd year after planting in the ground.